Join the man himself DIDDY for a very special Mayweather vs. Canelo after Fight Party this fight weekend Saturday September 14, 2013! DIDDY will be hosting THE FIGHT AFTER-PARTY at Rain Nightclub inside the Palms Casino & Resort Las Vegas for what is guaranteed to be one of the hottest events of this Mexican Independence Day & Fight Weekend! Limited amount available and prices increase soon, so act fast! 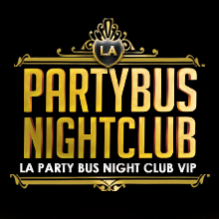 For more information, contact VIP host Jamie Barren (310) 749-9029.